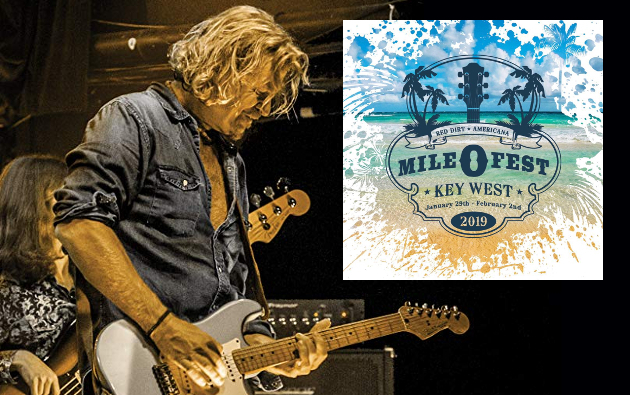 Texas music legend Charlie Robison will be making a rare public appearance since retiring from music in September of 2018 as part of a special tribute being put together at this week’s Mile 0 Fest in Key West, Florida. To be hosted by brother Bruce Robison and close friend Jack Ingram, multiple performers from the Mile 0 Fest lineup will be paying tribute to the songwriter and performer who put his career on permanent hold after complications from surgery left him unable to sing. Charlie Robison was initially announced as part of the 2019 Mile 0 Fest lineup, but had to cancel after his retirement announcement. That’s when promoter Kyle Carter of Oh Wook! Productions—the parent company behind Mile 0 Fest—called Charlie’s booking agent with the idea of putting together a tribute. The tribute will happen Friday, February 1st, with more details forthcoming. Attendees are being told to download the Mile 0 Fest app, which will be updated with details on the tribute. There will also be camera crews on site to capture moments of the tribute for those who can’t be there. The announcement of the Charlie Robison appearance comes in the wake of the news that the Turnpike Troubadours will not be appearing at Mile 0 Fest after canceling numerous other dates last week. On Sunday, Cody Canada also took to social media to compel Mile 0 Fest attendees to wear Turnpike Troubadours gear to the festival to show their support for the band. Some attendees have been wondering if a replacement band would be named after the cancellation, but Kyle Carter says there wasn’t enough time due to the late nature of the cancellation, and the logistical and legal nightmare of attempting to plug in another band on the main stage last minute. Beside Kyle Carter says, you can’t replace the Turnpike Troubadours. 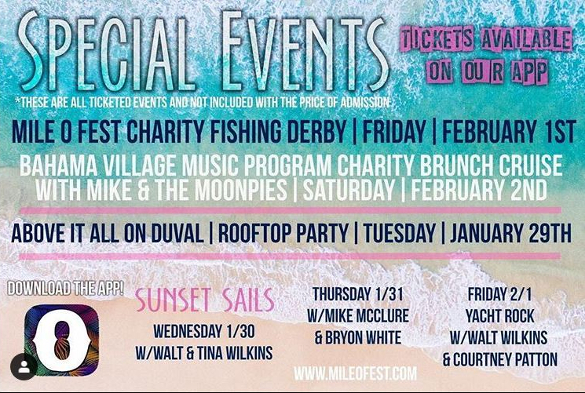 Aside from the Turnpike Troubadours cancellation, Kyle Carter and the Mile 0 Fest staff say everything is ready to go on the island, and they’re excited about the festival’s second season, including a Tuesday night kickoff party that will happen right in the heart of Key West, and will be completely free to the public. Charley Crockett also cancelled his Mile 0 Fest appearance months ago, but it in time for him to be replaced by Shane Smith and the Saints. Crockett announced on Sunday (1-27) that his open heart surgery to fix a heart condition called Wolf Parkinson’s White was successful. And for those fans of the Turnpike Troubadours, a sister band called RC and the Ambers will still be playing. Made up of Turnpike bassist and songwriter RC Edwards, and close Turnpike friend Amber Watson, the band often features other members of the Turnpike Troubadours. Instead of replacing the Turnpike Troubadours set Thursday evening at the Truman Waterfront Ampitheater with another act, the currently scheduled bands of Stoney LaRue, Cody Canada and the Departed, and American Aquarium will play extended sets. Mile 0 Fest officially sold out on January 12th—a pretty remarkable feat for a destination festival in its 2nd year. Make sure to check Saving Country Music and follow Saving Country Music’s Instagram Account for regular updates from Mile 0 Fest this upcoming week. Folks, a lot of folks have been emailing and sending messages for updates on the Turnpike Troubadours. I am actively working to get answers and explanations, and as soon as there is confirmed information, I will be letting everyone know. That Charlie Robison would be worth the price of admission alone. I’d love to hop a flight down there and get away from this polar vortex, but I dropped 4k on Maggie’s ACL surgery at the end of November. I’m not even doing Luck Reunion this year. All concerts have to be regional this year. Extended sets are good! Most of the sets at these festivals are too short to begin with. The extended Chris Knight (with band) set due to a TT cancelation over Labor Day weekend was the highlight of my year! I’m sure there’ll be other Charlie tribute shows and he deserves everyone of them. What a great voice to be silenced due to surgery. Texas for sure is going to miss this troubadour! God Bless Charlie he deserves all the respect and admiration from his fans and peers very cool gesture glad he agreed to attend!